Born in Beijing, China, Anita Gao Lee began playing violin and piano when she was four. She graduated from high school at age 15 and then became a trained high crane operator. In 1980, Anita moved to the U.S. to study violin with Malcolm Lowe and Robert Brink at the New England Conservatory. 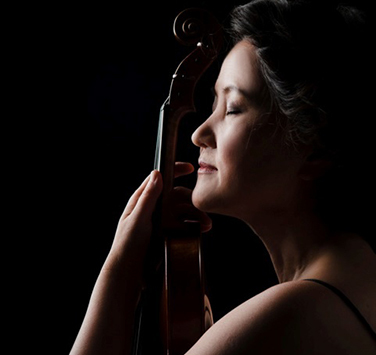 It was there that she met her husband, Symphony Nova Scotia violinist Yi Lee (Yi’s father had taught piano to Anita’s mother at the Shanghai Conservatory, but Yi and Anita had never met). After completing their studies, Anita and Yi moved to Halifax and joined Symphony Nova Scotia in 1985. As well as performing with the orchestra, Anita teaches violin and is a member of the Library Players. Performing as a guest violinist, she has toured widely in Europe, North America, China, and southeast Asia. She has also been a frequent guest violinist with the Singapore Symphony since 2001. Anita and Yi have two daughters, Mimisu and Lala.